Apparently, 2012 is shaping up to the the Year of the Ice. And I guess this makes sense. Our whiskies are getting more expensive, our glasses fancier … clearly that leaves the good ‘ole “rock” ready for an update too. 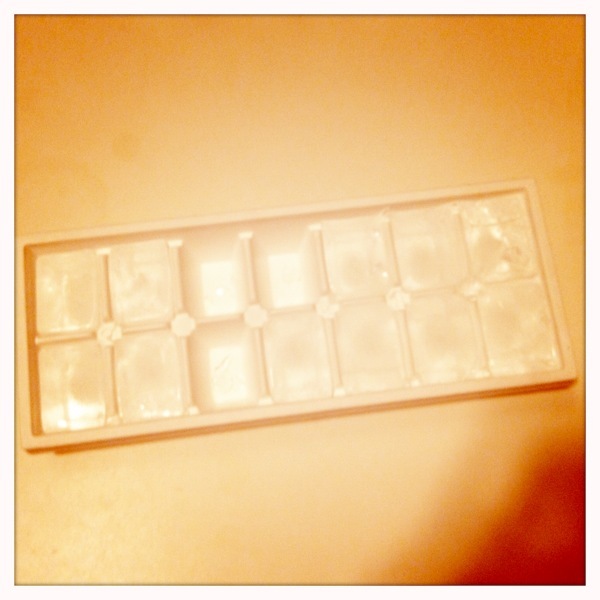 Earlier in 2011, I did a post on waterless “ice” reviewing the Whiskey Disks brand of chilled soapstone clinckers (read it HERE), but today I’m going to talk about the actually frozen water kind that have, for years, danced happily out of their standard ice trays into our standard rocks glasses. Not today, my friends. Apparently, those closest to me (aka, Santa & his elves), thought this whisky gal’s ice was due for a re-vamp. And a re-vamp she got. I was so excited to open these and immediately started visualizing myself in a scene from Mad Men. I love their exaggerated size and perfectly cubed shape. Just 1 is perfect in my glass – but if you prefer a few more, be my guest! They melt a bit more slowly then the standard ice shape and look a heck of a lot better! BTW – this gift deserves a shout-out to it’s giver; my sister, who is also responsible for introducing me to one of my all-time favorite rye whiskies, Catoctin Creek Roundstone Rye. LOVE her!!!!! This made me really excited. It’s easy to imagine oneself in a hidden bar in Tokyo with this beauty close at hand. No, it wasn’t hand carved right in front of you – but unless you’re deciding to take up ice sculpting this year, it’ll do just fine. Personally, I love the minimalistic, modern look which adds an air of instant sophistication – at least something can class up my at-home whisky drinking uniform of flannel pajamas during these cold months! In terms of the how this affects the whisky in ones glass, the Japanese always seem to know exactly what they are doing. The big ball melts much less quickly then standard cubes but cools the liquid much faster – leaving you with the perfectly chilled, ever-so-slightly diluted glass of whisky every time. 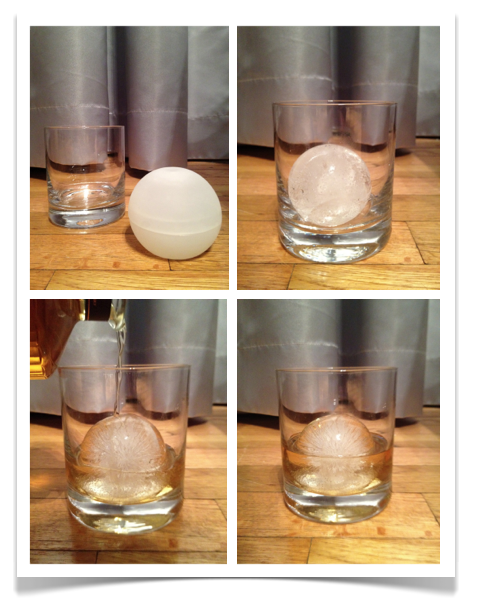 WW Rating: 4/5 (when it comes to the whisky, I love this ice ball just a bit better than the straight cube for it’s slower melting/faster chilling ability but it gets slightly lower marks when it comes to sharing. You have to buy multiple balls if you want to be able to offer this ice option to guests, which can get a bit expensive at $11.75 USD per mold. PS – this also works AMAZINGLY WELL for a glass of fresh squeezed orange juice. No, I didn’t receive this and no, I haven’t tried this yet – but – that’s not to say this won’t make its way into my home over the course of this next year, if only just to see my friends enjoy a post-business school whisky like only a dedicated frat-party goer could. I think this is hysterical and whether it’s used for whisky or another spirit concoction – who says drinking has to be all serious all the time?! Not me! On the whisky front – I can see how this might be very nice in during the warmer months. Acting somewhat like an adult slip-n-slid, the spirit could reduce in temp and hopefully pick up some H2O along the way! I say, luge away! Hope you all are having a wonderful start to 2012. I will give a toast to you on my next round. You are currently browsing entries tagged with Catoctin Creek at The Whisky Woman.